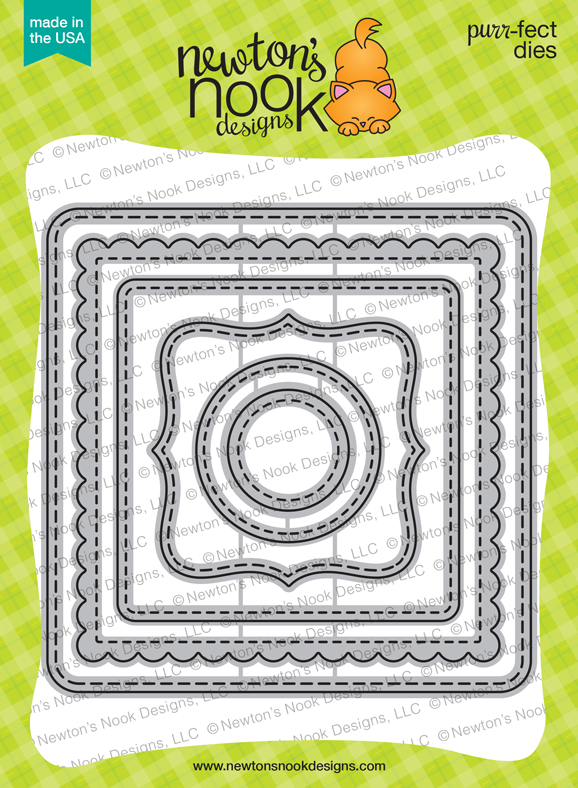 Hollybeary Creations : Newton's Nook Designs March Release Day 3! 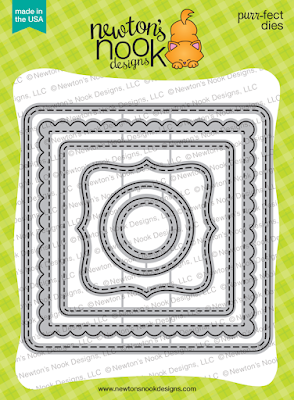 Newton's Nook Designs March Release Day 3! Happy Wednesday... It' Day Three of the Newton's Nook Designs March release and today we are introducing Newton's Block Party and taking another look at the Frames Squared Die set. 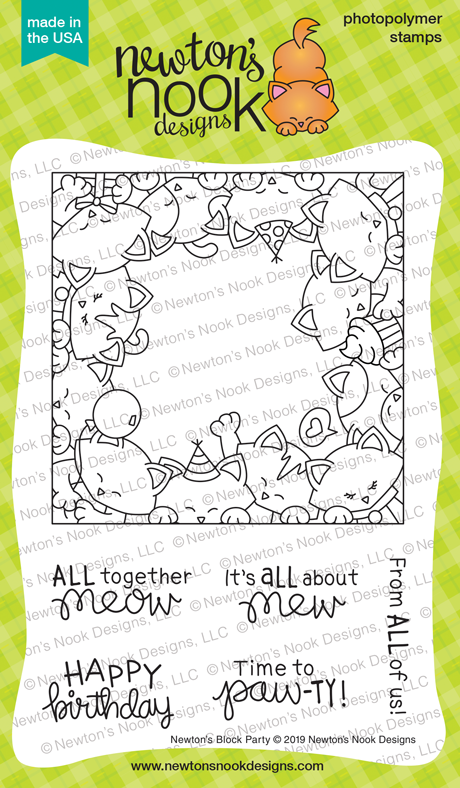 Newton's Block Party is a fun set full of sentiments for any celebration! For my project today I stamped Newton's Block Party onto some Copic friendly paper and then I die cut the image with the Scalloped Square from the die set. Then I colored all the images in with Copics. I created a Square card base 4 /4" x 4 1/4" and then I adhered the Image to the center. I used the stitched circle from the Frames Squared Die set and stamped the sentiment in the center. Then I adhered it in the center of the images with some foam tape. 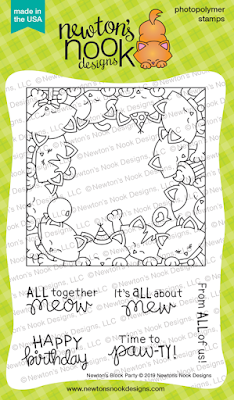 Would you like to win the “Newton’s Block Party” Stamp Set? Comment on the NND blog and Design Team blogs (see list below)! The winner will be chosen at random from the collective reveal posts. Make sure to check out each of their blogs and comment for your chance to win. You will not know which blog has been chosen so the more you comment on the better your chances are of winning! You have until Thursday, March 14th at 9pm EST to comment -- winners will be announced on the blog post on Friday, March 15th. Love how you colored in all those kitties and I like the center sentiment on the die cut paper. Your card is fabulous and the colouring awesome! So awesome! I love all the gorgeous coloring on these kitties! 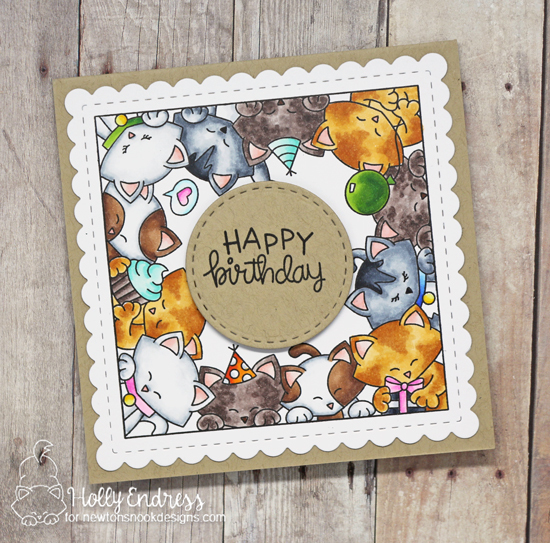 Darling birthday card with all those cute kitties! Love your pretty coloring! Soooo many cute kitties! What a cute frame! Cute design with the frame of colorful cats and the sentiment on a circle. Great colouring for these amazing kitties and love the neutral tones! Love your fabulous card. The kraft looks great. Such a fantastic card! Love the different colored Newton kitty cats! Fabulous card! I love the kraft paper and the coloring on the kittens. is great. A cute card. Cute as can be! Great card. Thank you. Fantastic card! 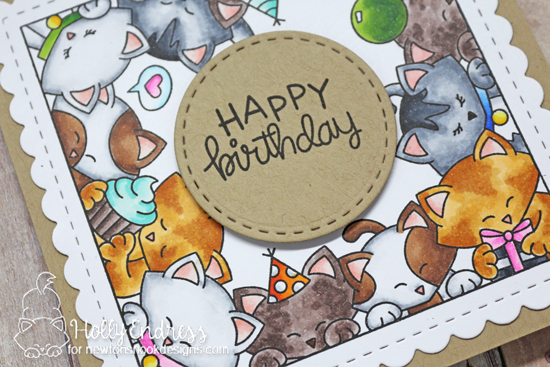 I love the colours you used on your kitties and the sentiment die cut design! What an adorable birthday card!! What a sweet BD card! Love all the the kitties.